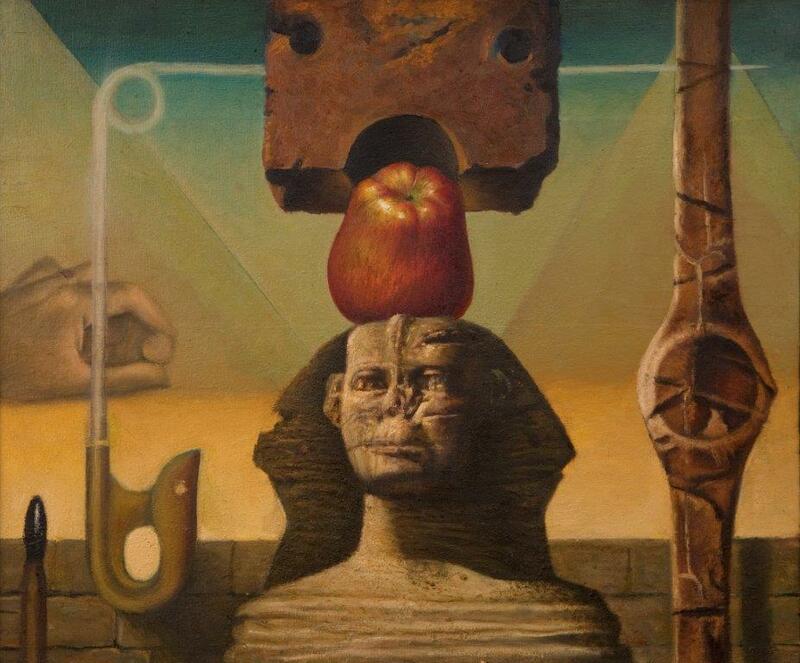 His version of Egyptian surrealism is a contextualized authentic voice, and not merely imitative of Salvador Dali or René Magritte, though the influence is recognizable; and offers its own chapter in the grand global story of Surrealism. Riad Saied did not shy away from the boldness of the expression or the strangeness and even oddness of the visuals, particularly at a time when the Egyptian environment was prone to other, more classic art movements, such as calligraphy and a return to figurative neo-Pharaonic styles. His artworks are the full, unashamed, and unrelenting expression of our humanity, with empty arcades, elongated shadows, mannequins, and animals among others, that he arranged to paradoxically convey a feeling of freedom. In his honour, his son Karim has teamed up with the ARAC Foundation to launch the first annual Riad Saied Awards for Art and Creativity, in support of young promising Egyptian surrealist artists. In 2011, the first Riad Saied Awards for Art and Creativity was awarded to the artist, Alaa Atef (MA in Painting, Alexandria, 2018). Symbolically a “Golden Apple”, the first prize consists of a three-month full sponsorship of the winning artist, including studio expenses, drawing material, and an exhibition.